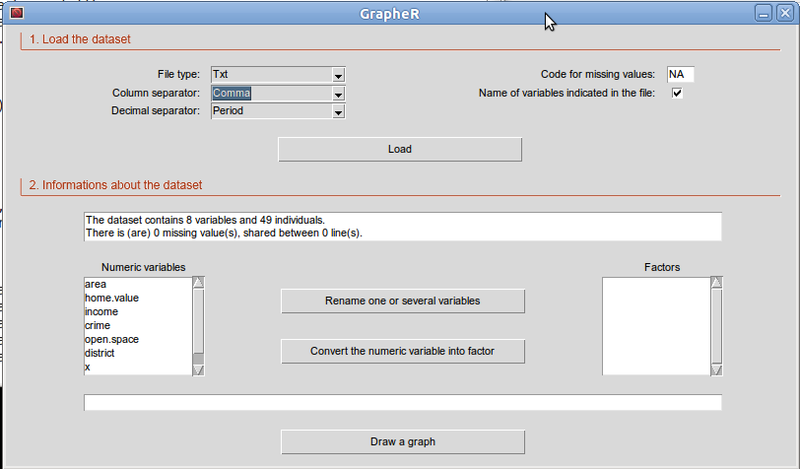 GrapheR is a Graphical User Interface created for simple graphs. 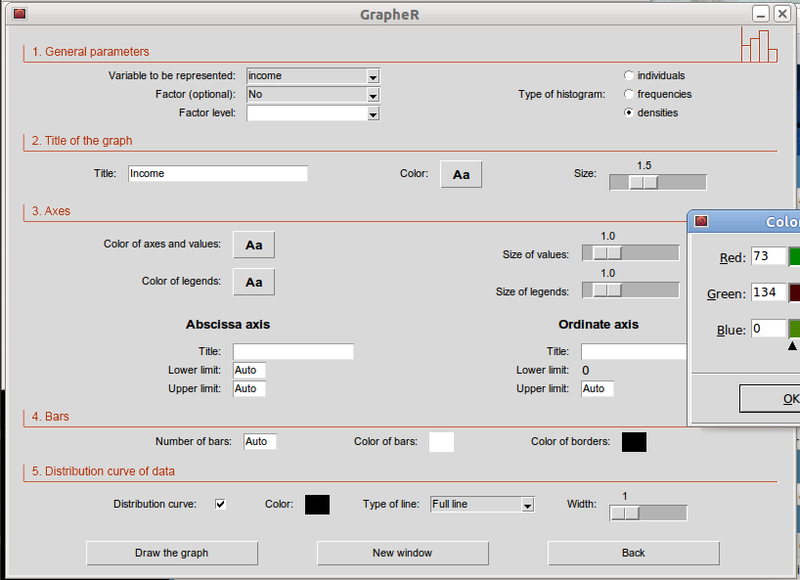 Description: GrapheR is a multiplatform user interface for drawing highly customizable graphs in R. It aims to be a valuable help to quickly draw publishable graphs without any knowledge of R commands. 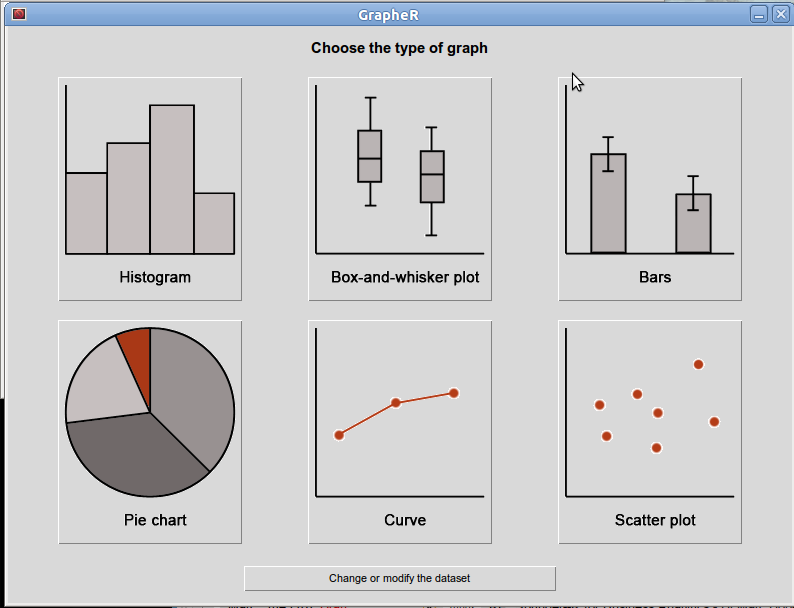 Six kinds of graphs are available: histogram, box-and-whisker plot, bar plot, pie chart, curve and scatter plot. 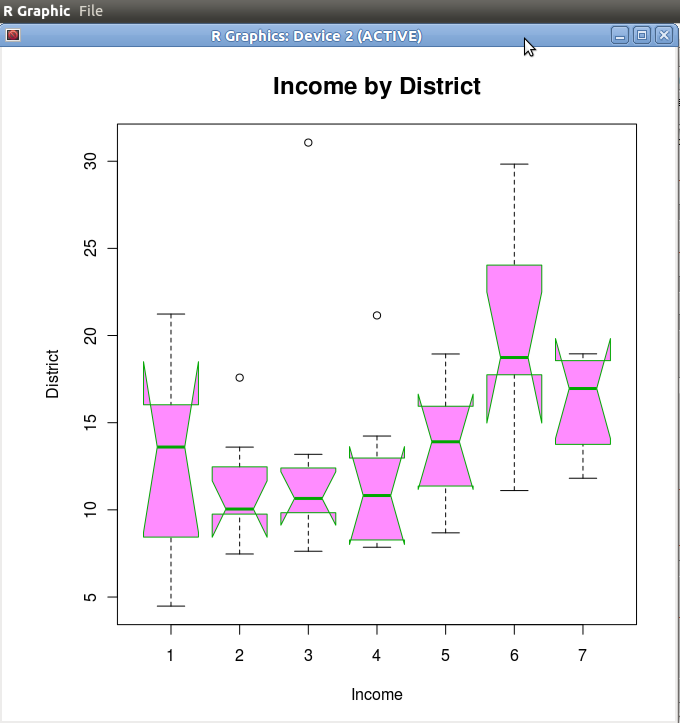 The intention is for even non users of R, to make the simple types of Graphs. The user interface is quite cleanly designed. 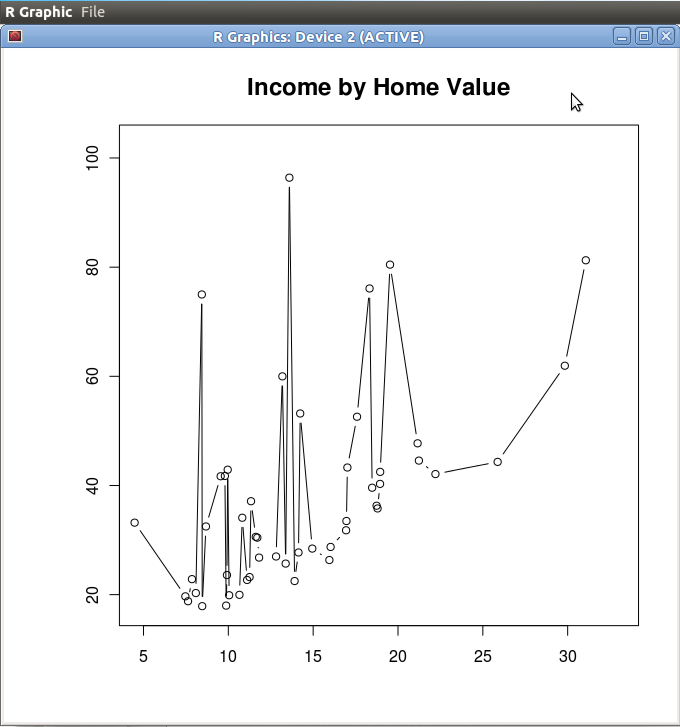 It is thus aimed as a data visualization GUI, but for a more basic level than Deducer. Lack of documentation or help. Especially tips on mouseover of some options should be done. Some of the terms like absicca or ordinate axis may not be easily understood by a business user. Default values of color are quite plain (black font on white background). Some of axis names can be auto suggested based on which variable s being chosen for that axis. Data Input -Data Input can be customized for CSV and Text files. and thats the folder you copy the GooglePredictionAPI package you downloaded. It then starts showing you time elapsed for training. ## Make a training call to the Prediction API against data in the Google Storage. ## Replace MYBUCKET and MYDATA with your data. ## Alternatively, make a training call against training data stored locally as a CSV file. ## Replace MYPATH and MYFILE with your data. At the time of writing my data was still getting trained, so I will keep you posted on what happens.